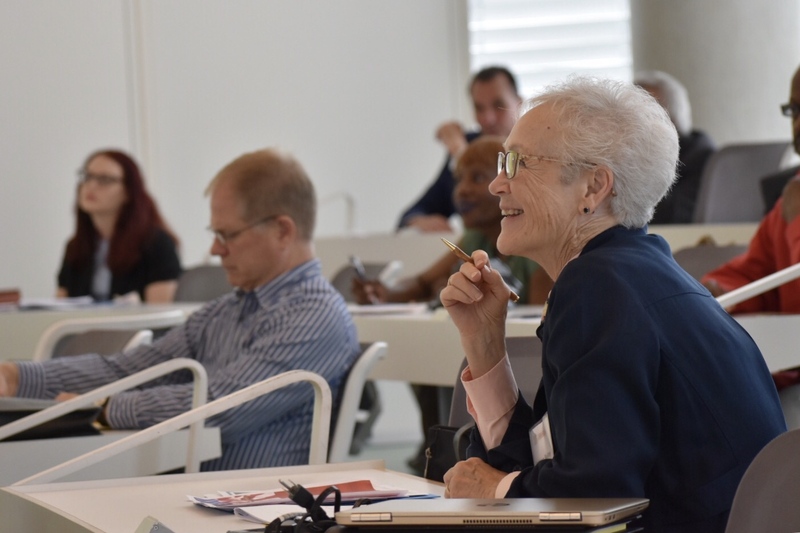 The University of Baltimore School of Law played host to the 10th Annual Veterans’ Legal Assistance Conference & Training on June 1, 2018. This year’s approximately 125 attendees enjoyed a full day of substantive panels and volunteer training on such hot topics as mentoring, discharge upgrades, and veterans treatment courts. “One of the many reasons that we host this conference is to provide a forum for discussion among veterans’ advocates, members of the military and their families, and other members of the community” who are interested in serving Maryland’s roughly 380,000 veterans, said Hugh McLean, Director of UB Law’s Bob Parsons Veterans Advocacy Clinic and Chair of the MSBA Veterans’ Affairs & Military Law Section. Both entities teamed with the MSBA Elder Law & Disability Rights Section, the Maryland Chapter of the Federal Bar Association, and the Veterans’ Consortium Pro Bono Program of the MSBA Young Lawyers Section to sponsor the conference. In a last-minute addition to the day’s events, Maryland State Delegate Jefferson L. Ghrist and Caroline County Circuit Court Administrative Judge Jonathan G. Newell presented a citation on behalf of Governor Larry Hogan to Joseph Allegretti for his longtime service as a mentor to veterans. The Pro Bono Resource Center of Maryland and the Homeless Persons Representation Project also helped to organize the program. “I am very proud that we are a convening space and a partner with these other wonderful organizations in the enterprise of training lawyers to serve veterans,” said UB Law Dean Ronald Weich.